November in Melbourne is all about fashion, food, racing and theatre. What better way to kick off silly season shenanigans than with Andrew Lloyd Webber’s School of Rock. Based on the blockbuster-film starring comedian Jack Black, this hilarious musical follows Dewey Finn, a failed, wannabe rock star who pretends to be a substitute teacher at a prestigious prep school to earn some extra cash. After seeing the musical talent of his class of straight-A students, Finn turns them into a rock band and enters them in the Battle of the Bands. In the process of teaching these pint-sized prodigies how to truly rock, Dewey falls for the school’s beautiful, headmistress, helping her rediscover her wild child within. 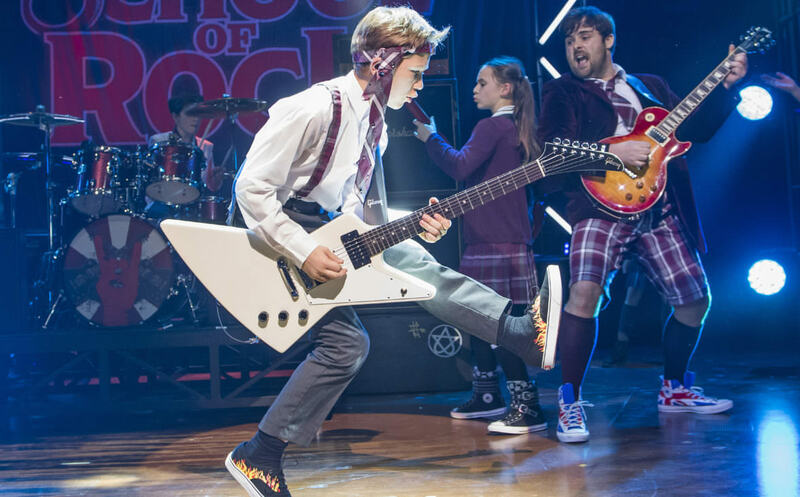 School of Rock is showing at Her Majesty’s Theatre and we are giving away two double passes to see the show ENTER HERE.